If you are interested in warp and blend applications, but haven't had the time or mental bandwidth to scope out new products, do not miss this free August training event. 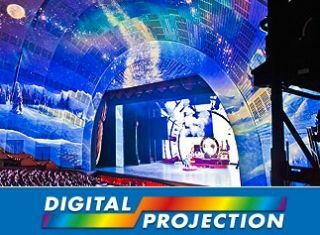 Join Digital Projection (DP), Delta Displays, Scalable Display Technologies, DNP Screens, and NVIDIA at DP's U.S. Headquarters on August 22-23, 2012, to learn best practices and demo new technologies. Event attendees will learn how to design, specify, and build two-piece projection video walls from a vastly experienced team of industry experts. Additionally, on the afternoon of the second day, all participating manufacturers will hold an open house to display and demonstrate numerous warp and blend solutions. This event is open to all AV integrators, consultants, press members and interested industry partners. Attendees will gain hands-on experience with designing, installing and programming simple to complex warp and blend applications. In addition, attendees will discover some of the most advanced warp and blend products available today, as well as the complementary components that are needed to complete a warp and blend application. Sales consulting training will also play a role at this event, with industry experts sharing strategies that will help identify and qualify warp and blend application prospects and generate sales through those opportunities. The two-day event is free of charge for attendees, and will be held August 22-23, 2012, at Digital Projection's U.S. Headquarters in Kennesaw, GA.
To RSVP for this event, please send an email to Danielle Shendok at dshendok@digitalprojection.com.